(Nanowerk News) Is someone sitting in the passenger seat of the car? Did someone enter the safety zone in front of an industrial machine? 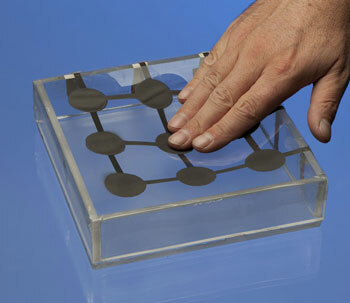 Stretch and pressure sensors have a wide range of applications. Researchers have now developed sensors capable of expanding, in extreme cases, to twice their original length and so supple as to go virtually unnoticed when sewn into clothing. These systems can be seen at the Sensor+Test trade fair in Nuremberg from June 7 – 9, 2011.